Who would have thought cutting holes in fabric could be so much fun! Ha ha! I've been having a ball using my new skip stitch blade. 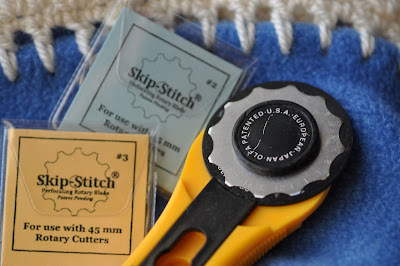 They fit on a normal 45mm rotary cutter (even old ones like mine) and you use them in pretty much the same way but instead of cutting a solid line they skip along making tiny little perforated holes that you use to embellish with beautiful crochet (a-hmmm ... ok I'm still a novice crocheter) or add ribbons or lace, tassels or fringing or some other good embellishing stuff. You can use them in scrap booking too but I don't so that (this year). They come in 3 sizes, Original, #2 and #3. The original was developed to perforate fleece, leather and soft foam so the 'teeth' are quite deep and spaced a reasonable distance apart. The #2 blade is ideal for thinner fabrics like flannel or wool, and the #3 blade is suitable for fringing. I haven't tried the #2 and #3 blades yet but hey I'm a bit of a gadget freak so I had to have them all. This is a fun new addiction brewing here ... but do you really know why I so excited? Well because it means I can sit and watch a film at the same time I am working on a project. I can't do that when I'm sewing .. and certainly not when I'm knitting either ..a skill I truly would have loved to inherit from my mother. Mrs F (my mum) has the amazing ability to watch TV, chat and knit at ten to the dozen with that flicky pointer finger movement to get the wool from one needle to the other .. whilst I on the other hand hold my needles like pokers and have to drop one needle to pass the wool around ... BUT CROCHET well I can do that (almost) without looking. 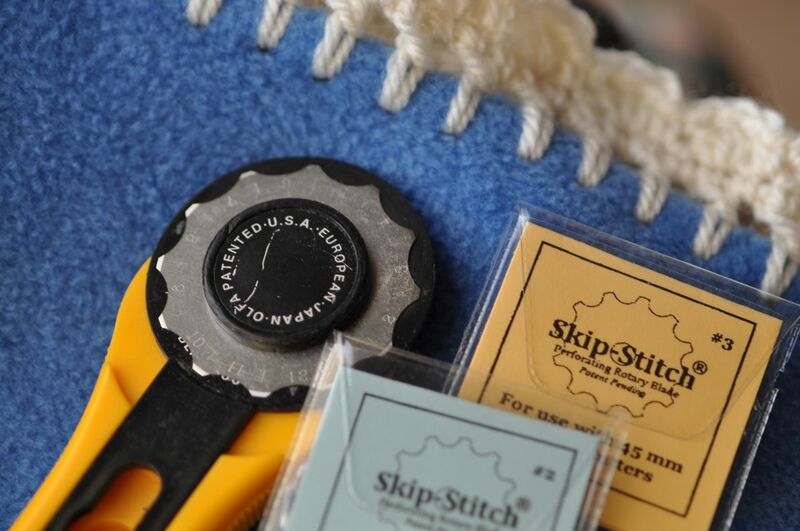 Woo hoo ... more skip stitchery in the pipeline for me. By the way ... I brought a bunch of these blades but I only have 2 of each size left so if you would like one or all of them be quick and head over to my website and place your order! I've even added a special price for all three ! That looks so clever. 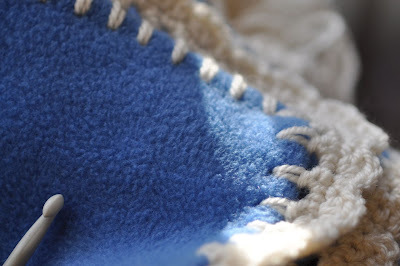 Could the blade be used to run round wool shapes that I want to applique, so my blanket stitching is lovely and even? Just wanted to say that I love your blog and am slightly in awe. Not sure if i'll ever be up to you standard! I've almost finished my second quilt and i'm loving it! I will buy skip stitch blade...how many is this? Hello - the original blades cost £11 each plus postage from the UK. 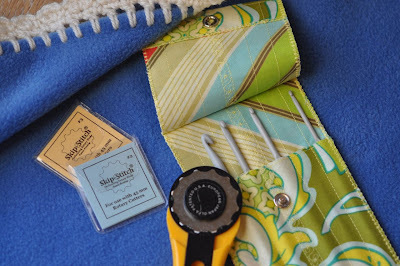 Was wanting to know if this tool can be used on cotton, without raveling?